Empire’s objective- Help buyers to find the business that will maximize their quality of life. Needless to say, buying a business is a major, life changing decision. There are tremendous rewards that can be achieved from owning a business, and risks are part of the game of business. The professionals at Empire Business Brokers have walked the path on which you are traveling. We have over sixty cumulative years of business ownership experience. We have personally started, bought and sold a number of businesses in the sunbelt. 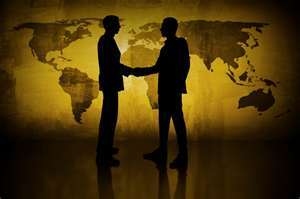 Empire Business Brokers of Greenville-Spartanburg has the professional experience, expertise, and global representation to handle all of your business acquisition needs. Our seasoned group of business brokerage professionals is dedicated to providing you with superior service throughout the entire buying cycle. We can assist you in identifying and locating the type of business that fits you. If you are considering starting your own business, home based business or are exploring other business opportunities, you should consider the services of a certified business broker. We are experts regarding how to start, buy, grow and sell a business in the Carolinas. Would you like help in evaluating a business that is listed for sale? Searching for an existing business can be an overwhelming task, and you may feel alone in the process. Business sellers and buyers can be difficult, financial issues can be complex. We can help you identify the best businesses that fit your personality, your skills and your lifestyle goals. We can advise you and negotiate on your behalf as you search for and evaluate business opportunities. We can assist you through every step in the process. You will have trusted advisors on your team with several decades of experience with buying businesses, negotiations and financial statements. Contact Alan Melton to learn more about this service at 864-241-0606. Would you like to search for businesses that are not listed on the market? With this service we represent you, the buyer. We work with you to assess your skills, and work that you love to do. We develop a personal and business vision for you, and we assist you in developing an industry target. Then we market you to companies that are not listed on the market. Our approach has a high success rate, and we have a proven track record. Whether you are an individual, a business owner who wants to grow by buying your competitors or a corporate buyer, we can help you find the best business for you. Call Alan Melton to find out more at 864-241-0606 or click here to email us.